The Chubbsafes Mekannno self-assembly security cabinet is a high security self assembly cabinet suitable for storing documents, cash and large valuable items. It is ideal for banking, retail, military or government applications. 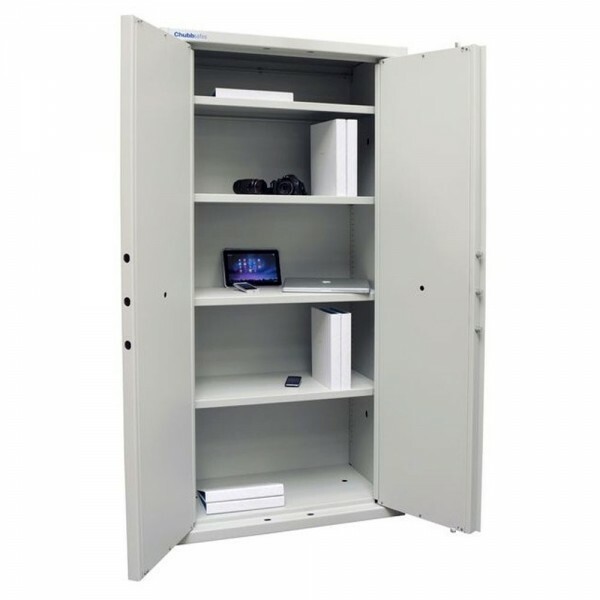 The cabinet can be assembled in around 45 minutes by two people with simple tools and is simple to disassemble and reassemble should the cabinet need to be moved. It is fitted with a double bitted key lock but a second “magic module” lock position can be fitted to allow dual locking if required at an additional cost. 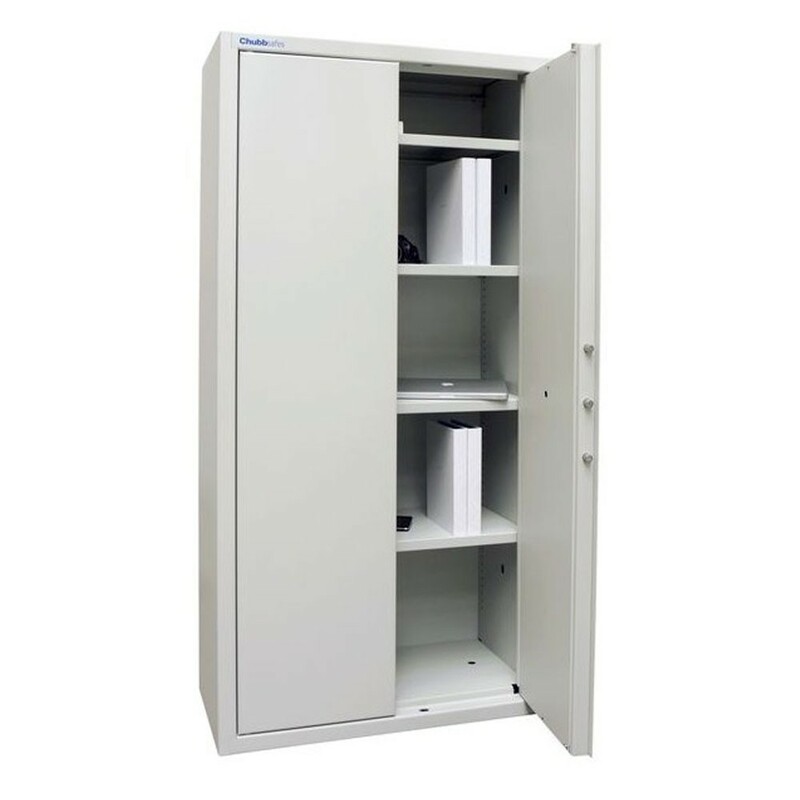 The Chubbsafes Mekannno self-assembly security cabinet comes with 4 adjustable shelves and anti-drill plate protection for the bolt-work and locks. It has a recommended cash rating of £1,000.